Living up to its name, Dream Machine is some kind of machine! 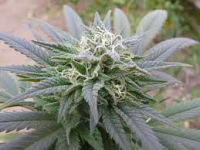 Dream Machine Feminized Cannabis Seeds by Heavyweight Seeds: Living up to its name, Dream Machine is some kind of machine! Happiest when kept below 1.5 meters with regular pinching, the machine will form a mid-sized plant, very bushy and packed with rock hard sticky buds. 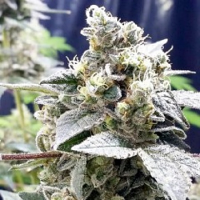 Its high THC and CBD content make it a favourite for medical users treating stress, pain, anxiety, and insomnia, as well as growers who are limited by space and height availability, but who want to maximise their yield potential. Producing a delightful smooth sweet smoke, Dream Machine has it all.